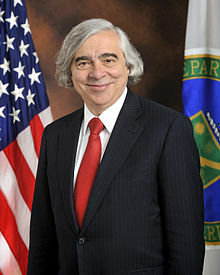 Ernest Jeffrey Moniz GCIH (born December 22, 1944) is an American nuclear physicist. He was the United States Secretary of Energy, served under U.S. President Barack Obama from May 2013 to January 2017. This page was last changed on 1 July 2017, at 07:07.